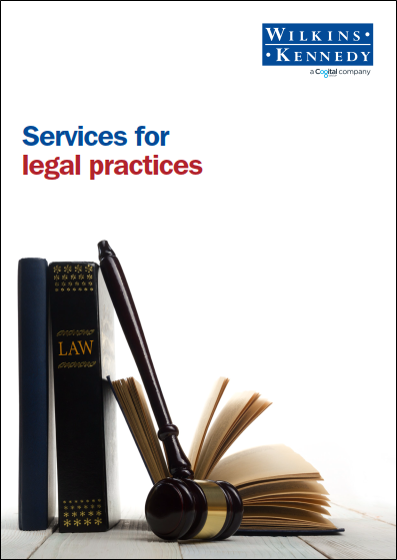 Every legal firm needs a different level of support from their professional advisers. Our specialists take the time to understand the needs of the firms that we act for and tailor our approach to provide the technical skills, and practical advice required, in the most cost-effective manner possible. The legal sector has undergone significant change in recent years, with the Solicitors Regulation Authority’s ongoing revisions to compliance covering both the Handbook, Code of Conduct and Accounts Rules, plus changes made by the regulator to make the sector “more competitive”. We have worked successfully with the legal profession for many years and are one of the leading accountancy firms acting for law practices. Our team of specialists is on hand to help you make sense of the relevant regulations, meet your obligations, and support you with the growth and strategic direction of your firm. We act for a number of solicitors, including national and local firms. We strive at all times to keep ahead of new developments, so that we fully understand their impact on the legal sector and can advise clients on issues as they emerge. Through our regular WK Law seminar programme, we offer a range of seminars throughout the year specifically aimed at addressing topics relevant to those operating within the legal profession. These seminars have proved to be extremely popular and provide a refreshing alternative to training. We also produce regular e-briefs and highlight issues affecting the sector through our WK Law Linkedin group. Advising on business structuring and incorporation. Annual statutory audit and accounts preparation. Managing mergers, acquisitions and de-mergers. Preparation of the annual SRA Accounts Rules Accountant's Report. Provision of tailored in-house training courses to assist with SRA training requirements. Remuneration planning for partners and employees. Strategic planning and succession planning. Meet the head of our solicitors sector group. Changes to Partnership Taxation – an unintended consequence? The draft finance bill includes legislation which will make various changes to partnership taxation – but does this include a clause which could affect many professional partnerships? A recent story has drawn attention to a key piece of legislation relating to VAT liabilities on property search fees – and it could have a wider impact on conveyancing. According to a recent report by the Solicitors Regulation Authority (SRA) law firms are being increasingly exposed to cyber theft – with property transactions being one of the fraudsters’ main target areas. When the Government introduced the increased Stamp Duty Land Tax (SDLT) for second homeowners, there was significant concern in the legal sector that this could account for a reduced amount of conveyancing work for law firms, as people delayed, or even postponed, their Buy to Let purchase in view of the increased cost.